Chuck Easstom, "C++ Programming Fundamentals"
At request. Reupload from Sep, 1, 2005. Link was deleted. 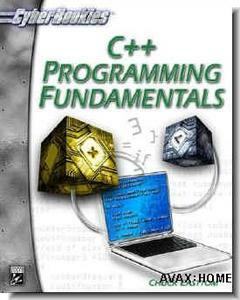 C++ Programming Fundamentals teaches the basics of C++ programming in an easy-to-follow style, without assuming previous experience in any other language. A variety of examples such as game programming, club membership organization, grade tracking and grade point average calculation, make learning C++ both fun and practical. Each chapter contains at least one complete, fully functional example program, with several smaller examples provided throughout the book. Complete source code for each example in the book is provided on the accompanying CD-ROM, along with additional example code for further practice.